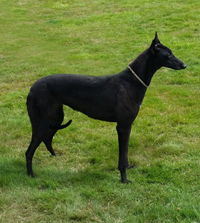 Went to her new home on Wednesday 17th August 2016. 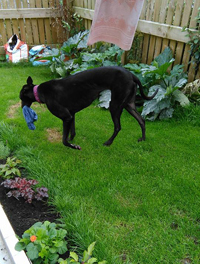 Peg is a lovely black ex-racing greyhound who was born on the 13th August 2013. 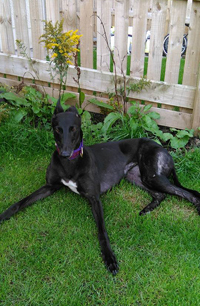 Peg is house trained, spayed, inoculated and microchipped. She is okay with children and other breeds of dogs including small ones. 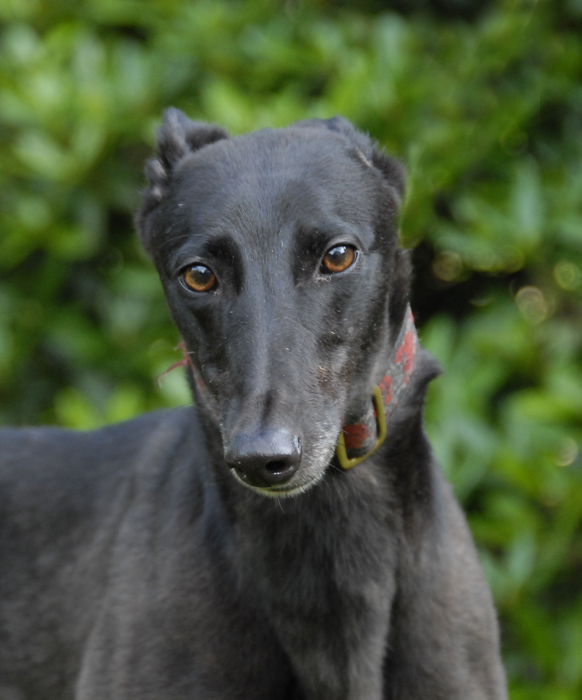 S, walks nicely on the lead, and has a lovely sweet, friendly temperament.